In this episode, we finally pay homage to the amazing, awesome, incredible musical Hamilton. In the musical, Aaron Burr sings a song to his daughter, Theodosia (called Dear Theodosia). 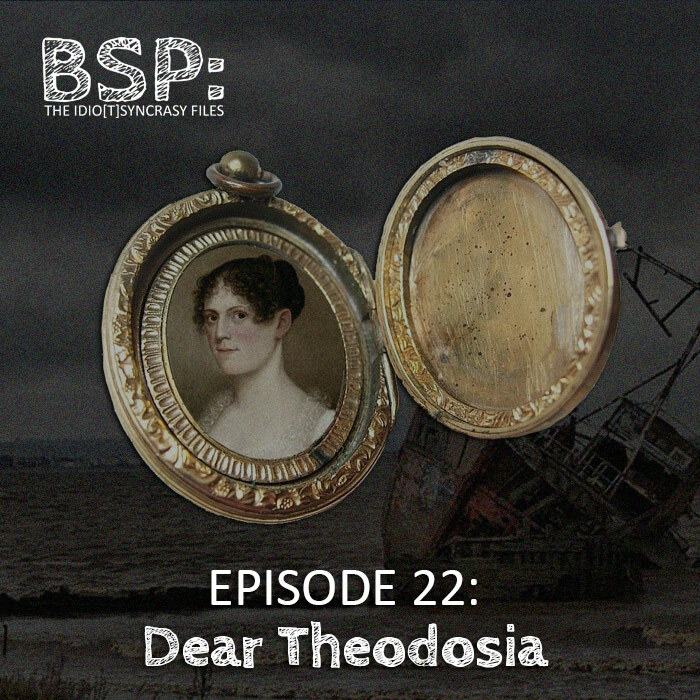 Sadly, the real Theodosia Burr mysteriously vanished in real life, and Chris and Cody discuss her disappearance and possible whereabouts. Cody tells the story of a potential appearance by Theodosia in Galveston, Texas. Chris discusses the Female Stranger and the infamous Nags Head Portrait, which may have resulted in Theodosia surfing to safety on a painting. Listen to the end to find a special musical treat from the guys. BS Weekly is a developing story on the Loch Ness Monster. Drinks this week include Full Sail-Blood Orange Wheat and Olde English (AGAIN! ).